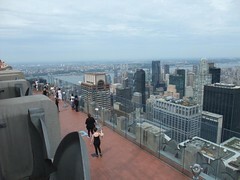 In September I spent a wonderful week in New York. We all have a picture of the city in our heads and probably know something of its history so let’s get straight into the itinerary. 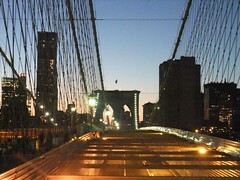 If you’re not familiar with New York where have you been? Here’s a summary. I stayed at the Ace Hotel and, well, it was an ace experience. Centrally located, funky hipster decor and friendly staff. 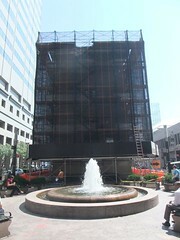 Its main restaurant, the Breslin, provided great food as well. As there’s quite a bit to go through I’ll try and be brief, if you have any questions ask me in the comments. 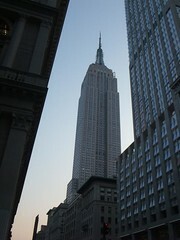 Empire State Building – an amazing engineering feat towering over the city and offering excellent views. I went at dusk and seeing the sunset was a highlight. The ticket includes an audio tour which is very useful. 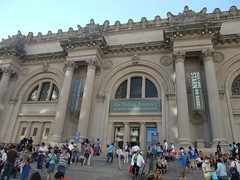 Metropolitan Museum of Art (the Met) – I visited when the museum has extended hours (thus allowing you to maximize your tourist time) and again another highlight. There are kilometres to walk through as you explore the world’s history and all of it is worth some time but if you stop to read everything you’ll need a few days. I took a harsh approach, walking through the galleries and only reading up on the items that caught my eye. Even so I was there for over 3 hours. 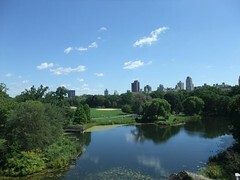 While at the Met you must check out the rooftop garden – especially if there’s a display on – as the garden provides views over central park and the city. 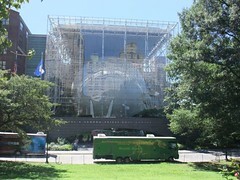 American Museum of Natural History – another huge museum that would take far too much time to look through properly. Even only stopping at a few items I was there for over 2 hours learning about both the natural world and the anthropology of various nationalities. I’d also make sure to go to the planetarium show that’s included in your ticket. Museum of Modern Art (MoMA) – I went on a free Friday (though had a ticket through city pass). I’m not normally one for the most modern of art, nonetheless many of the pieces on the lower levels were interesting. I was particularly bemused by the London Transport posters. However it was the top floors with the Van Goghs and expressionists who won me over. Beautiful. 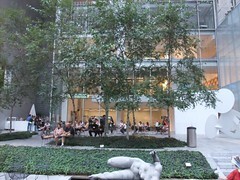 Also don’t forget to take a break and sit in the courtyard. 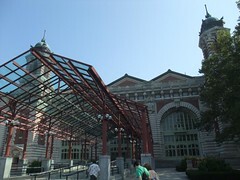 Ellis Island and Statue of Liberty – taking a ferry around the bays on a sunny day was a marvellous way to begin an early day. 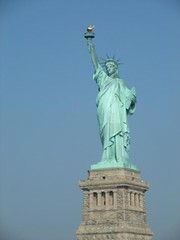 I didn’t go onto Liberty Island itself but continued onto Ellis. Over the next few hours I learnt about the immigrants coming to the US and the history of the site itself. Very informative. I was glad I hadn’t stopped at the Statue as the number of tourists had risen dramatically by the time I was ready to leave. 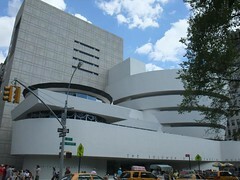 Guggenheim Museum – If you like modern art you’ll find it here in the iconic spiral building. 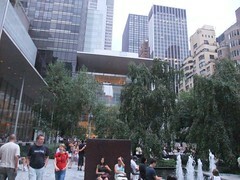 I wasn’t blown away by anything like at MoMA but some of it was interesting and certainly challenging. 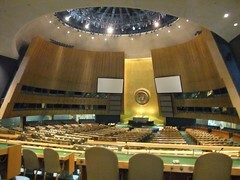 United Nations – the tours take an hour and are on a first come first served basis. 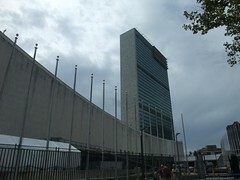 On the tour you’ll be taken through some of the building hearing about the work of the UN. You’ll also get the chance to visit one of the most famous rooms in the world – the General Assembly Hall (assuming they aren’t in session). 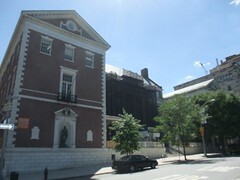 New York Police Museum – in a small building near the bay and wall street is this museum devoted to the history and work of the NYPD. It’s a solid museum with sections on turn of the century criminals, formation of the force, September 11, 2001 and current work. I’m not entirely sure it’s worth the entry price if you’re not interested in the topic but you might find something worthwhile. I did but then I’m a fan of criminology. 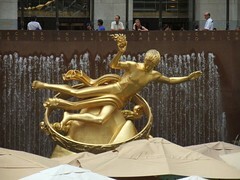 Rockefeller Plaza, Top of the Rock – of all the on high viewpoints I went to during this trip I’d say Rockefeller was my favourite. There are fewer crowds than Empire and the introductory videos were well presented. It could have done with an audio tour outside on the upper decks though. Otherwise it’s great. 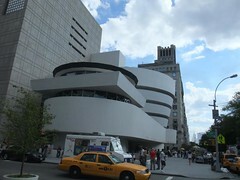 Museum of the City of New York – a small museum, probably worth the visit even with the entry charge, that gives an overview of the city through a fairy cool video presentation and some temporary exhibits. When I went they were looking at the life and times of one of the city’s former mayors during the turbulent 60/70s and the first visit by a Japanese delegation. Check before you go to see what’s on. 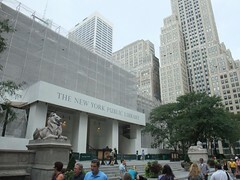 New York Public Library – take a free tour with a member of the library and hear about the history of the building and some of their most important items (like a Gutenberg Bible). 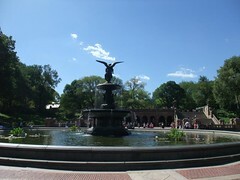 Central Park – I came here a few days into my trip and more than anything it won me over to loving New York. The park with its fields and walks provides an excellent escape from the rush of the city. It gave me a good boost to continue the trip full of energy. Museum of Comic and Cartoon Art – couldn’t find it! Fail. 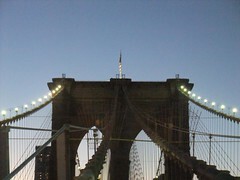 Brooklyn Bridge – wasn’t planning on walking over it (although heard I should) but then after finding myself in Brooklyn meeting some friends decided to walk back via the bridge. Well worth it! 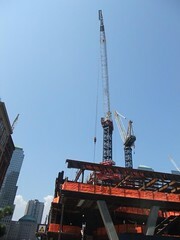 The quality of the construction, the views and the flow of people all made it a wonderful walk. 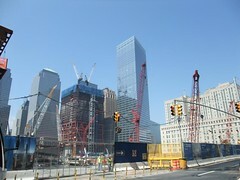 World Trade Center site – the continuing construction and footprint of the buildings help to provide a sense of scale to the tragedy. There’s an information centre but I didn’t go. 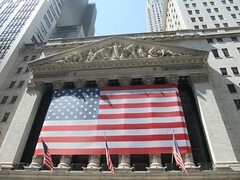 Wall Street – a mix of tourists and office workers occupy the space in and around the Stock Exchange Building. Broadway and Times Square – I first had a wander through this area during the afternoon and it was teeming with tourists but once night falls it truly goes into overdrive with the huge billboards lighting up the entire area and encapsulating the “city that never sleeps” claim. Rather depressingly I find I have no pictures of it. Oh well I guess that means another trip. Lego – need a spare lego block? You’ll find it and much more here. Now back to the city. Besides all of the main attractions it’s highly recommended that you take some time to wander around the various districts to see the diversity in the city. Of course New York City is a great hub to explore other areas. 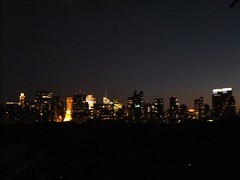 I only managed to see a glimpse of Brooklyn and New Jersey but they and many other places are easy to get to and there’s plenty to do in them as well. Magnolia Bakery – famous cupcake shop. Very nice but I prefer Hummingbird’s – though the cupcake I bought was near the end of the day so that might explain it. Still yummy! Culture Espresso – another good coffee shop with nice food as well! Society Coffee – the decor and general attitude was quite relaxed, the food was fine but overpriced and the service was solid. I also had a very nice conversation with a fellow patron. subway and transport – being set out on a grid makes finding where you need to go really simple. Walking is a good choice for a lot of the venues but you should also pick up a travel card for the subway for those slightly longer commutes. The subway is fairly straightforward and the carriages are air conditioned. NYC Information Center / City Pass – the number of tourists were relatively small but I was able to further reduce wait times by picking up a city pass. 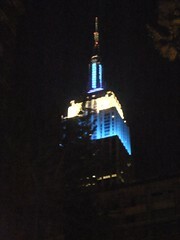 I bought mine on my first day from the NYC Information Center while wandering up to Times Square. I also bought my travel card from here too. The service and people in New York were all excellent. I was very lucky that when I went (first week of September) there were so few tourists as it gave me a chance to do more and the weather was perfect too. All in all a great trip. Now to plan the next one! Google Doc of the itinerary – fairly close to what I ended up doing.